Is it Healthier to Cook Salmon With Its Skin? Do You Cook Fish Skin-Side Down? Skin-on fish makes an elegant presentation. 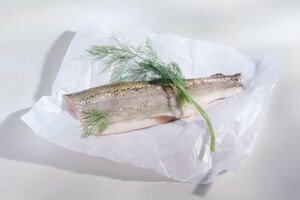 Cooking fish with the skin on can be tricky, because you may not know whether to cook the fish with the skin down or up. There is no easy answer, unfortunately. Which side you cook first depends on the type of fish as well as the cooking method that you use. Also, take into consideration the preferences of those in your family. You may decide to leave the skin on the fish for a variety of reasons. Serving certain kinds of fish with the skin on makes it look more elegant. Even the humble trout looks like a gourmet meal when it is cooked and served whole. Cooking fish fillets with the skin on is also an effective way to keep the fillets from falling apart in the pan or on the grill. For most cooking methods, cook the fillet with the flesh down first, to keep it from breaking as it cooks. Not all fish is created the same when it comes to cooking it with its skin. If the fish has very thick or inedible skin, such as grouper or blackfish, remove the skin or cook it, turning once, then remove it after cooking. 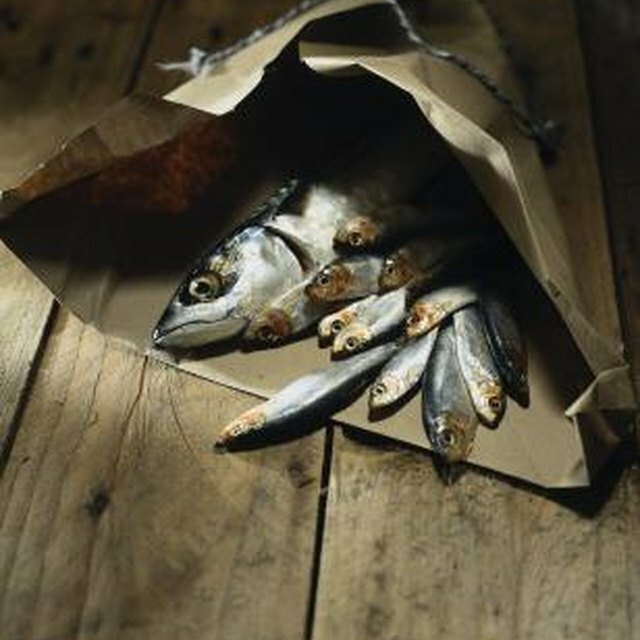 However, if the fish has a tender fillet and a delicate, edible skin, such as whitefish or snapper, leave the skin on. The side of the fish that you cook first depends on the method you use. If you are poaching the fillets in cooking fluid, cook the fish with the skin down or up, because the warm liquid cooks the fish more evenly. To saute or grill the fish, cook it with the flesh side down for one to two minutes, then turn it over and finish cooking it with the skin down. This will allow the flesh to shrink, which will prevent the skin from curling. Serve the fish with the skin side up. This highlights the fact that you cooked the fish with the skin on. Diners can then choose whether to remove the skin or to eat it along with the flesh of the fish. To complete the elegant look of the fish, lay a lemon wedge or a spring of parsley on top. If you are serving the fish to children, it may be best to simply remove the skin before serving.